What are the best (and worst) questions to ask during an interview? | smartdept. 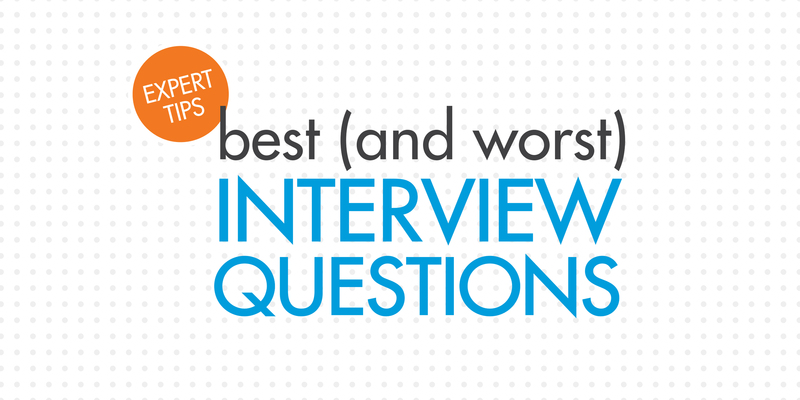 inc.
What are the best (and worst) questions to ask during an interview? An important part of preparing for an interview is thinking through (and writing down) questions for your interviewers. While there is such a thing as asking too many questions, coming in with a short list of smart questions will go a long way to both understand the role and impress the hiring manager. It’s always best to focus on the role, the team and company – not the vacation package. What are the biggest professional challenges that the person in this role is likely to encounter? What are your long term goals for this role and department? How closely will I work with a supervisor or mentor? What types of employee tend to succeed here? OR – What qualities are most important for success in this role? Are there opportunities to take on new projects and challenges that may fall out of the actual job responsibilities? Is there any experience you’re looking for that I haven’t yet spoken to? What are the next steps/best way to follow up after our meeting?